Seeing as I'm away holidaying this week, I'm keeping it all light and fluffy here. It's a mini-blog break. Or like when TV goes into non-ratings period. Re-runs, no heavy current affairs. Skip likes to call me Doogie. He thinks it's quite hilarious. Now I know that blogging may not be that rock'n'roll, but well, I guess I'm not that rock'n'roll either. Sure I may tap away my thoughts each day, but I like to think my hair is a little better than Doogie's and I don't have the electronic synthesiser music playing over me. When you think about it, though, Doogie really is king of the bloggers. What other blogging gods do we have to bow down to? Doogie really brought blogging to the forefront, he was a pioneer. All hail, King Doogie, I say. Are there any other blogging icons out there? I'd love to know. You're right!! That never occurred to me before. Hail to the Doogie God!! When I first read your heading "doing a doogie" I thought you were off for a toilet break. The kids heard the word doogie used in reference to a number 2 in a movie once and we now use it often. So in comparison, seeing Doogie Houser was a relief! Yay for Doogie!! I saw the title of your post and thought maybe we were having an ESP moment. On my blog today I wrote about the neighbor's dogs crapping on my lawn!! Sadly, there was no special moment and that is OK. 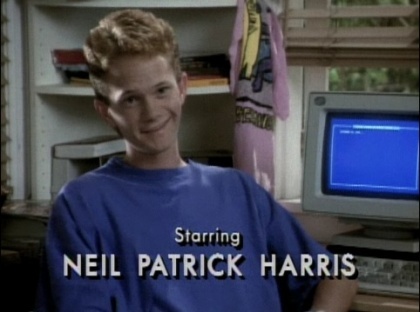 I never realised that he was the first blogger. Wouldn't it be interesting if someone posted his blog from that show now or what if someone posted blogs from his HIMYM character.